It’s morning like these that makes it so exciting to get up early and be out in position to photograph the sunrise. 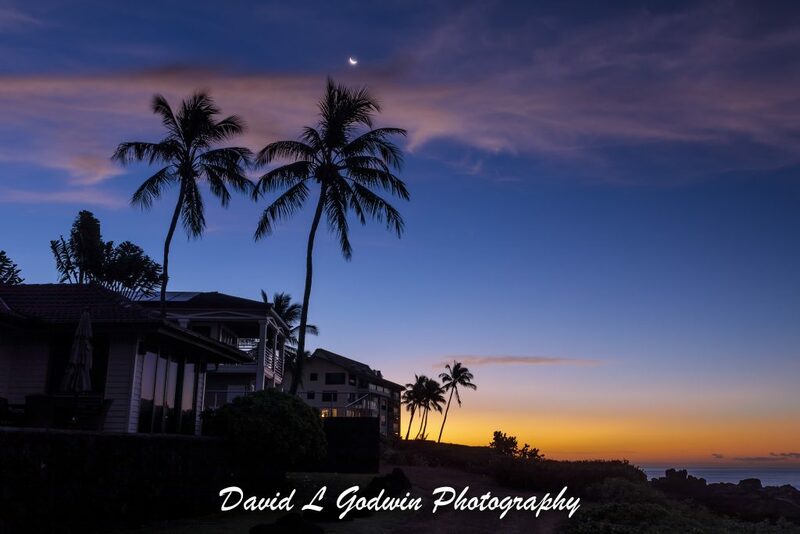 These 2 images were taken the same morning right at sunrise at Poipu beach. 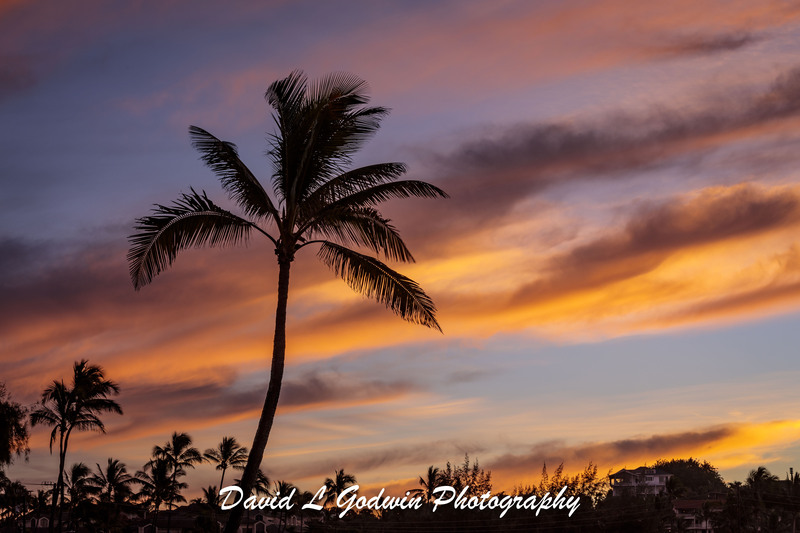 In the first image I like the the silhouette of the central main Palm tree and the color strips of clouds in the background. In the second image you can make out the sliver moon and the transition from night to day in the sky.